Ladies and Gentlemen, Merle Haggard Skoals. 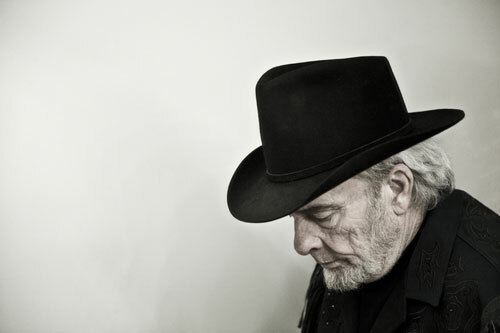 Merle Haggard, shot by Travis Huggett. We are starting the new year off with a bang. We flew across the country and skoaled country music legend Merle Haggard –one of our musical heros. Readers might remember our excitement at the opportunity to meet Mr. Haggard, expressed here. Merle Haggard. Country music legend. Badass. It gets even better. Merle’s wife Theresa sings backup and agreed to skoal too. Theresa Haggard. Married to Merle Hagggard. Cured him from being the running kind. And there is absolutely nothing Cooking Issues enjoyes more than a good couple’s skoal. Merle and Theresa Haggard. What country music is all about: a man, a woman, and a little booze. Merle and Theresa were incredibly gracious, as was Frank Mull, Merle’s long-time road manager. They warmed to Cooking Issues as soon as I described myself as a high-tech moonshiner. 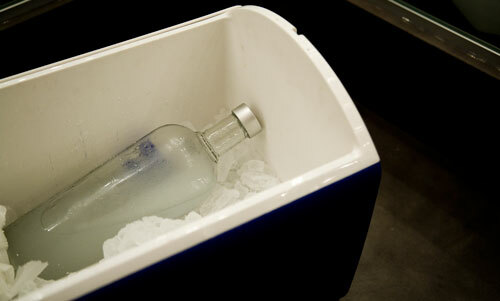 Merle’s two favorite liquors are tequila (preferably blanco), and George Dickel 86 proof Tennesee whiskey. Theresa likes margaritas. They were OK with Aquavit. 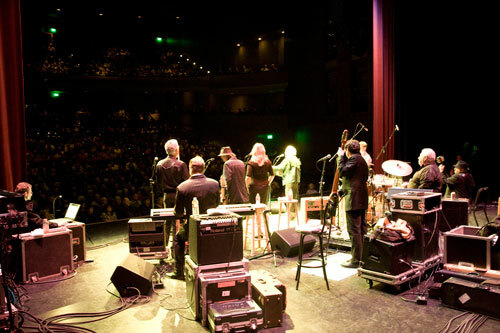 We flew into San Fransisco, but the concert was in Modesto. 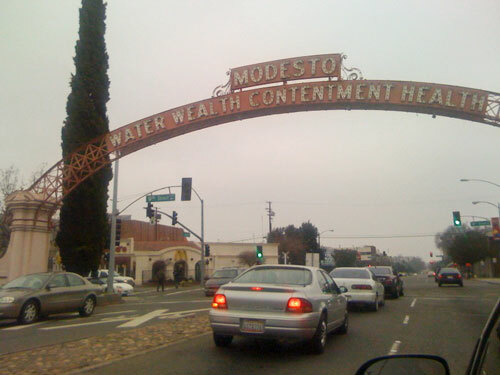 Modesto is about as far away from San Fransisco as two hours in a car can get you. 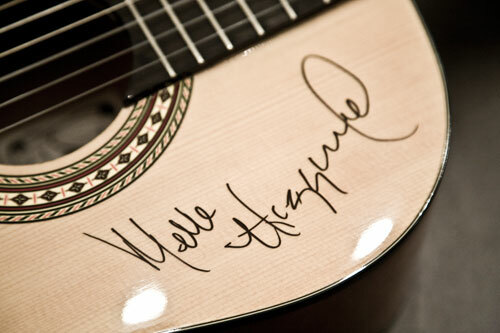 Merle was signing guitars for charity. "I'm gonna do what?" 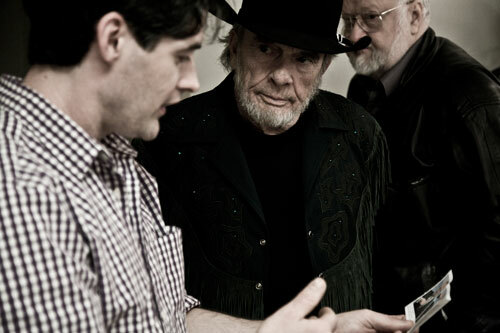 Dave explaining the skoal project to Merle Haggard. Frank Mull in the background. The concert was fantastic. Merle’s still got it. Both his wife Theresa and his youngest son Benion are in the band. At 17, Benion can really rip it up on guitar. All photos by Travis Huggett except the shot of Modesto, courtesy of my crappy Iphone. Merle Haggard. Country music legend. Badass. Master skoaler. This is crazy awesome. Absolutely one of the coolest things you guys have posted. Wow what a privilege to skoal such a legend…. I wonder who will be the next lucky hero to skoal!!! Is David Allan Coe next? I do love me some David Allan Coe. Any guy who can’t grow his hair long enough to cover his red neck can’t be all bad. Skoal goaaaaaal! Awesome, baby! He’s looking haggard, exactly as he should. lol Theresa in her 3rd pic has the look like the aquavit might be fighting back haha congrats Dave well see you soon with a 3 foot bass in tow. Frank….I’ve been trying to find you. Get back to me. I’m on the eastern shore of Md….still gigging.